Are you a fan of superhero films? Are you tired of looking that their mega powers on a tired old HDTV that your parents were going to throw out three years ago? We're here to help you (not all heroes wear capes, after all...) - TechRadar has teamed up with Warner Bros. to massively upgrade your home cinema set-up, taking you into the future of 4K TV. So what are we giving away? 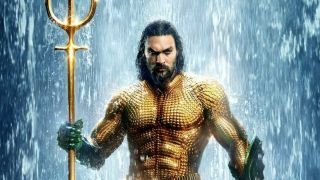 Well, a fantastic 4K bundle to coincide with the launch of Aquaman on digital download, Blu-ray, and DVD this month. The amazing prize contains everything you need to make your home entertainment system the envy of your friends, including a Hisense 43-inch Smart 4K TV, an Xbox One X, and of course, a 4K UHD copy of Aquaman on Blu-ray. If you can't believe the chance we're offering you (do, it's very much real) then enter by checking out the full competition details below.